Xiaomi is getting into the drone business. The Chinese manufacturer mostly known for its aggressively priced high-end smartphones today introduced the Mi Drone, a camera-wielding quadcopter that undercuts comparable models from market leader DJI by over $300. Two models will be available: the cheaper one, priced at 2,499 Chinese Yuan (just over $380), will feature a 1080p camera, while the 4K model is 2,999 Yuan ($457). The ball-shaped camera on the higher-end Mi Drone uses a Sony 12.4-megapixel sensor that can capture video at up to 3,840 x 2,160 at 30 fps and take RAW photos, while On the lower end 1080p model, Xiaomi has packed a 16-megapixel Sony backside illuminated CMOS and a 104-degree wide angle lens. Both feature a detachable gimbal that does 3-axis stabilization and is assisted by an optical flow sensor positioned between the camera and the battery bay on the back. 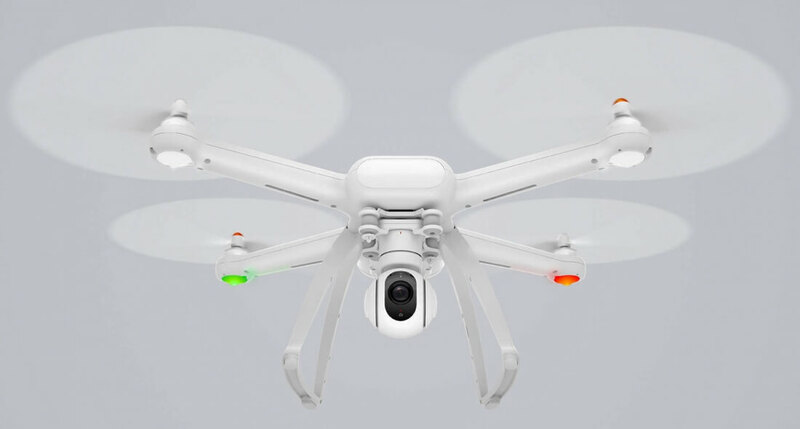 Xiaomi says the Mi drones will have 27 minutes of flying time on their 5,100 mAh batteries, with a range of of 3 kilometers. Like DJI, Xiaomi will build geofences into its drones to prevent them from flying into restricted areas. The drone will automatically return to base when its battery is dying or when it loses contact with the controller. In terms of design the drone itself looks quite a bit like DJI’s Phantom drones. There’s a standalone controller with a dedicated button for take off and landing and a built-in smartphone clamp so you can use it as a viewfinder. Xiaomi highlighted the modularity of its drone -- the battery pack, rotary wings and camera module are all swappable. The higher end 4K-capable model will be available in late July, while the 1080p Mi Drone will be crowdfunded through the company's Mi Home app, starting on May 26. No word on availability outside of China.